Some project highlights as of October 2018. Three UCA instructors were in UBC last May to work with our 3 prerequisite course builders. I think that “training” session was very effective for both sides of the partnership. Those first three courses (prerequisite physics, chemistry, ecology/biology) are being taught now. Linda Strubbe who developed the physics course also contributed during the faculty development events in August in Naryn, although that was not part of the partnership – it was an arrangement she made herself. First in last October (2017) – we met many people and I consider it to have been a very valuable opportunity to “meet and greet” many organizations and individuals, and of course to gain a first impression of Tajikistan and the Khorog campus. Everyone who went was very satisfied with the visits. 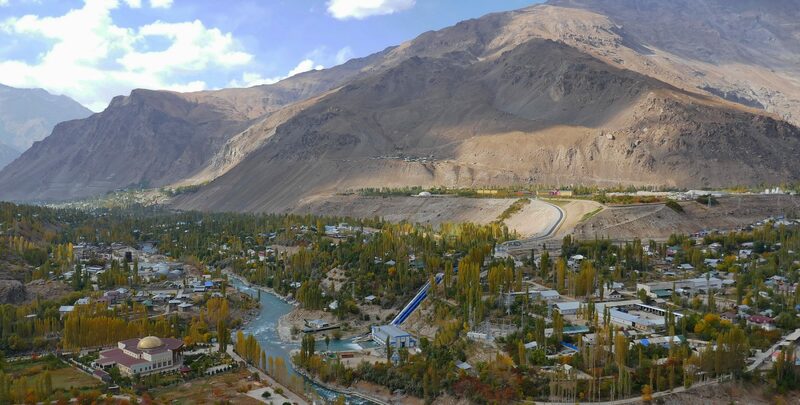 In May 2018 there was an extremely effective visit including trips with MSRI wildlife conservation scientists into the Pamirs, including staying in communities and meeting some locals. As geography and geoscience specialists, these aspects, and of course experiencing the landscape, were of tremendous value to our team members. One of our geology course developers is visiting with David Rodgers and Murodbek in Khorog last week and this week. They have been busy working out some details related to collaboration with local people (including with AKAH and State. University, Khorog) and also visiting field sites to find suitable locations for field experiences for the students. We expect to have a curriculum review committee with UCA people and external reviewers at UBC in late January. This has yet to be arranged in detail but UBC and UCA partners have agreed in principle. We expect to have a training session in May for new UCA faculty to meet with course developers to focus on courses that will be taught in the 2019-2020 year. Dr. D. Rodgers providing tremendous support, both in terms of developing geology courses, and for his experience in academic institutional matters. Development of our first geology course has been accelerated so a first version can be taught starting January 2018 so that students can begin their specialist courses before their next summer Co-op term.